This information is provided to avoid miscommunications; if you have any questions regarding CPI policies, please do not hesitate to inquire in the office. CPI does not under any circumstance give cash refunds to students should they not finish the program or any part of the program for which they have registered. Should a severe personal emergency occur in which case the student must return to their home country, written documentation proving the emergency must be provided to receive an 80% refund. This refund policy applies only to students who have paid their programs directly to CPI in Costa Rica and only for Spanish classes or home stay option. Apartments do not apply. These same rules apply for CPI on line payments made prior coming to Costa Rica. If the student is unable to finish the program for which s/he has registered they will be given a credit valid for the period of one year. This credit is not transferable to another person and will take effect one month after being issued. This rule applies only for Spanish classes or homestay option (not applicable to apartments). The program deposit is non-refundable; however, it may be applied to a new program within six months of the postponed program. Deposits are non transferrable and may only be applied to the student of the original deposit. We request that you pay in full the first day of class or via internet before coming for the program for which you have registered. If for some reason you decide to pay one week at a time, you will lose any discount offered for a full payment. If you plan to divide your studies among locations, please pay careful attention in selecting the number of weeks you wish to spend at each CPI campus. The schedule you note on the application is the one you will follow. If you start at one campus and then move to another you must terminate your studies at the second campus. For instance, if you study for 3 weeks, you cannot spend one week in Heredia, one week in Monteverde and then spend your last week in Heredia. We require a 10% non-refundable deposit, which is applicable towards the total cost of your reservation. If we do not receive your deposit in one week from the booking, it will be cancelled. One month before the reservation start date the outstanding balance must be paid in full. Should the booking request be received one month before the reservation start date the reservation must be paid in full, versus only a deposit. If a student wants to adjust or postpone the reservation, he or she must do so at least one month prior to the starting date. Less than one month advance notice prior to the starting date of the reservation: One week of the accommodation reserved will be charged. If the reservation is for more than 1 week, the remaining weeks of accommodation will be refunded through international bank transfer, and the student will pay the bank fees. If the student is in Costa Rica, and he/she is cancelling the reservation from other CPI campuses apply the same cancellation policy. Once the student starts his/her staying in the apartment, room or villa, CPI does not, under any circumstances, give cash refunds to students that do not or cannot finish the accommodation for which they have booked. At CPI, we would like for all guests to have the best experience possible while residing in the apartments and rooms. In order to maintain an environment which allows guests the opportunity to both study and relax, our partner companies request that the guests agree to follow certain guidelines. No smoking inside the rooms/apartments/villas. Residents of the apartments or rooms will be held responsible for damages. No guests between 7:00 PM and 7:00 AM. Violation of this rule will consequence in a penalty charge of $50 (per visitor, per night). No animals allowed in the apartments or rooms. No loud music or noise after 9:00 PM out of respect for neighbors. The use of the washer and dryer is for guests only. There will be a charge of $20 for loss of house key. Check in time is Sunday at 2:00 PM. Check out time is Sunday at 11:00 AM. With four nights or more in this accommodation, the full weekly price will apply and any un-used nights cannot be exchanged for money or alternative accommodation. The pickup and drop off is a free service that CPI provides for those homestay and other CPI arranged accommodations for students traveling by way of the Juan Santamaría International Airport in San Jose (SJO). The CPI staff requires the full flight information including: arrival time, airline and flight number. Your flight information must be received no less than 1 week prior to arrival day. For students enrolled at CPI Heredia as their first school, a driver picks up the student and takes him/her directly to their homestay in San Joaquín de Flores. For those enrolled at either CPI Monteverde or Flamingo as their first school, the students are picked up at the San Jose International Airport (SJO) and taken to a CPI recommended B&B where tl spend the night. The following day, the student travels to Flamingo or Monteverde via previously arranged private transportation. Pre-arranged arrival package for students starting classes in Monteverde or Flamingo: The arrival package costs $118 per student and includes one night at a B&B in a single room, breakfast and transportation to Flamingo or Monteverde. Return for Heredia students: Once the student finishes classes, CPI Heredia students are taken to the airport from their homestay/student residencies. Return package for Monteverde/Flamingo students: Available to those students flying out of Costa Rica within one week of the termination of classes, the departure package is $118 and includes transportation from Monteverde or Flamingo to the CPI recommended B&B, one night at the B&B with a breakfast and transfer to SJO International Airport. *The cost of the B&B accommodation and the transportation to/from Monteverde and Flamingo is not included in the tuition price. Coming to class while intoxicated results in immediate suspension of classes. It is disrespectful to the professors as well as other classmates, and cannot be tolerated. Your phone, tablet or laptop has to be turned off during class time. Otherwise, it is disrespectful to the professors as well as other classmates, and cannot be tolerated. The exception is if your professor ask you to use them as part of the didactic activities of the class. 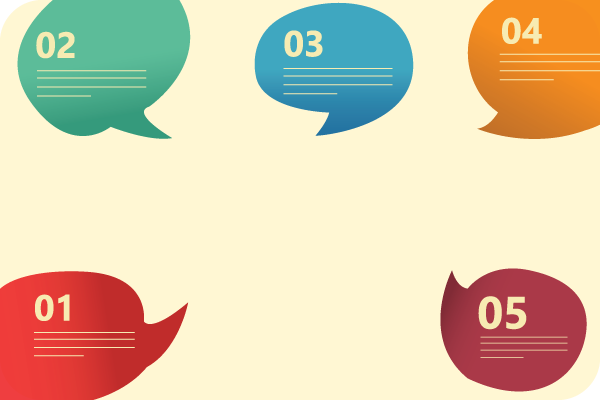 The CPI methodology is specifically designed toward weekly linguistic advancement, with each class geared towards covering a predetermined number of grammatical points and the achievement of conversational goals. As a result, punctuality, active class participation and the completion of homework assignments are all essential elements to meeting program goals. Should a student miss class without due cause, the student is not entitled to make ups. Equally, should a student not be an active class participant, fail to do the homework or not make a concerted effort to learn the material taught in class, it is at the discretion of the Academic Coordinator to determine whether the student is capable of advancing to the next class level or whether said student must review the previous week’s material due to truancy and lack of effort. If the student wishes to change class groups, the student should make the request known to either the Academic or Student Coordinator. Both the professor’s opinions as well as the Academic Coordinator’s class observations are taken into account when considering whether a group change is necessary. Should the Academic Coordinator deem the change necessary, the student will begin classes in a different group the following week. The student should request a group change no later than Wednesday. 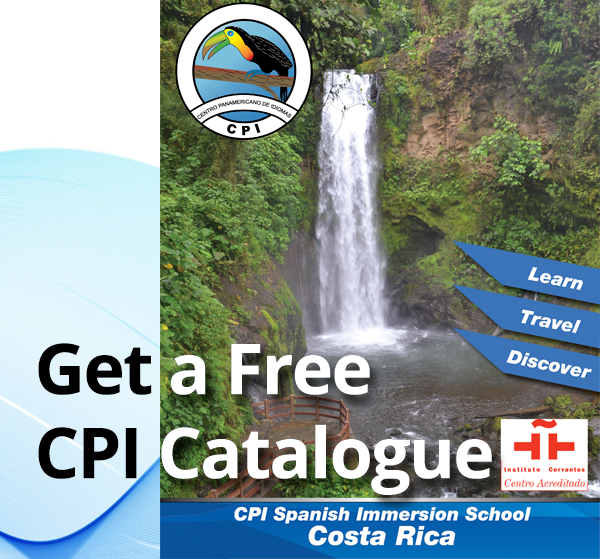 CPI offers four base levels of Spanish: Beginner, Intermediate, Advanced and Superior. Within this framework there are three sub-levels within each base level below Superior, making a total of 10 available levels at CPI; these parameters concur with the ACTFL guidelines. The CPI program is designed to help students achieve a new sub-level every two to three weeks, always taking into account the ability and linguistic experience of the individual student. If you are a fast learner, you may be promoted to a new sub-level in less time. On the first day of class, students are given a written and oral placement exam to determine skill level. Students are placed with those of a similar level. CPI students enrolled in group classes must adjust to the CPI Spanish level determined by the Academic Coordinators at each school on the first day of classes, and not other Spanish levels determined in other Spanish schools. Each minute is considered during your evaluation; thus, you may not skip class or arrive late. NMSU students must participate in and attend the cultural activities sponsored by CPI. The NMSU class schedule is 4 hours per day, from 8:00 a.m. to 12:00 p.m., Monday through Friday. Please note that CPI cannot authorize any campus change without previous approval from NMSU. For NMSU students, CPI provides a certified document that indicates the hours studied. This document must be given to the Study Abroad Office of NMSU. It is the student’s responsibility to pick up the document from the Academic Coordinator during the last week of class on each campus. For NMSU TRANSFER CREDIT students, upon completion of classes CPI provides a certified document that indicates the hours studied. CPI will deliver the directly document to your university. Students must participate in and attend the cultural activities sponsored by CPI. Upon completion of classes CPI provides a certified document that indicates the hours studied. CPI will deliver the directly document to your university. If the university requires specific projects, such as an essay, the student is responsible to complete it and send it directly to the university. Upon completion of classes CPI provides a certified document that indicates the hours studied; CPI will deliver the document directly to your university. CPI does not grant direct credits for Spanish classes. Please note that if you do not arrange credit procedures before your program starts you may not be able to earn credits from CPI. These requirements must be provided in advance. Note: Courier with credit documents have a cost of $60, which will be charged to the CPI invoice.